Jumpsuits make me so happy! I remember my first jumpsuit when I was a kid, it was a zip up pajama jumpsuit and it was my super fave thing to wear! 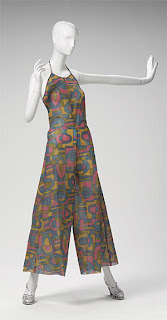 Needless to say, I was so excited to see so many gorgeous jumpsuits on the runway for spring, and even more excited when I found out The Phoenix Art Museum has currated an exhibition of jumpsuits throughout history! 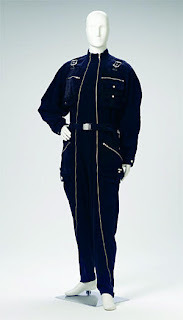 They have spotlighted the functionality and fashion of all in ones, from Skydiver suits to YSL and Norma Kamali suits. I am really sad that I may not get to see this exhibit,so fingers crossed it travels to a city near us.